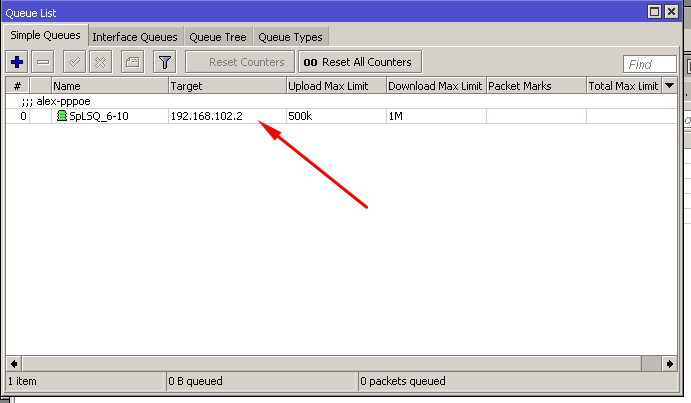 Queues for speed limitation on Mikrotik RoutersOS could be created by Splynx using API. 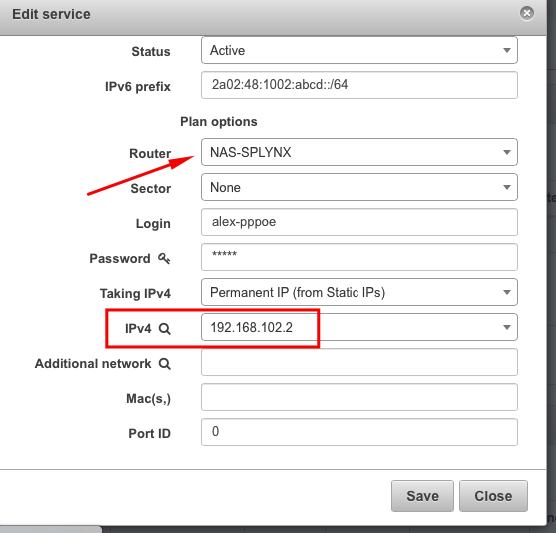 To set it up, Mikrotik API should be enabled on router and in Splynx router settings. 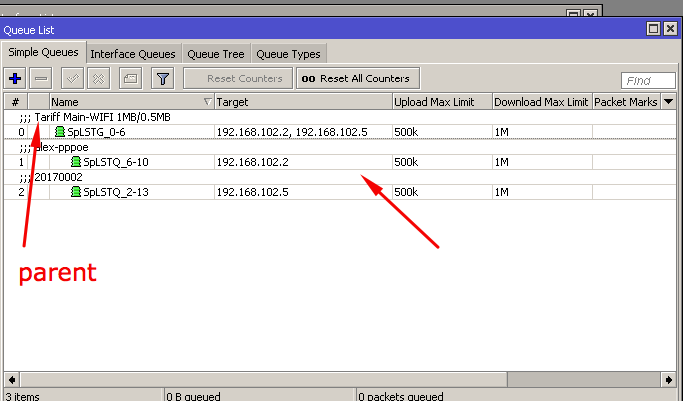 To create a Simple queue rule we have to enable Shaping on the router in settings and setup Shaping type to "Simple queue". 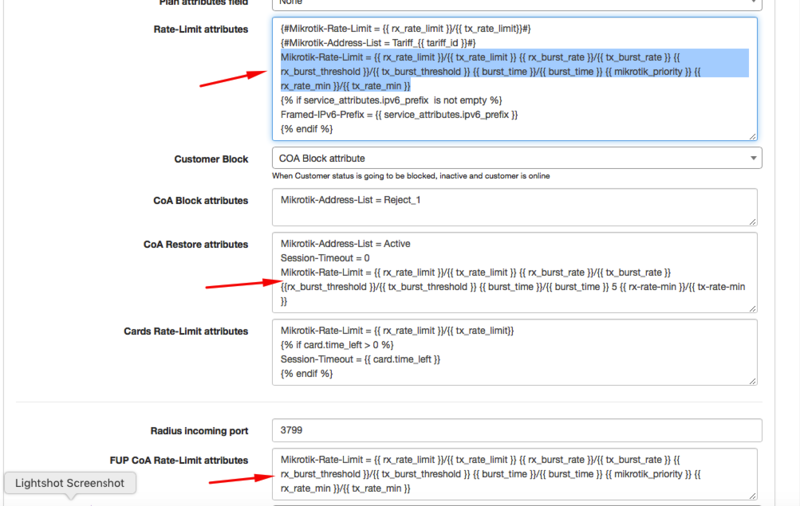 If FUP rule is applied, the queue speeds will be updated via API automatically. The Simple queue type of shaping doesn't provide the way how to put customers under one shared plan or make contention per router. For achieving contention setup we need to change the Shaping type to Simple Queue Tree. * Please don't combine sectors contetion with Plan contetion, it will overcomplicate the queue setup and Mikrotik will not handle it well. Please note: in PCQ shaping contentions and FUP policies don't work. 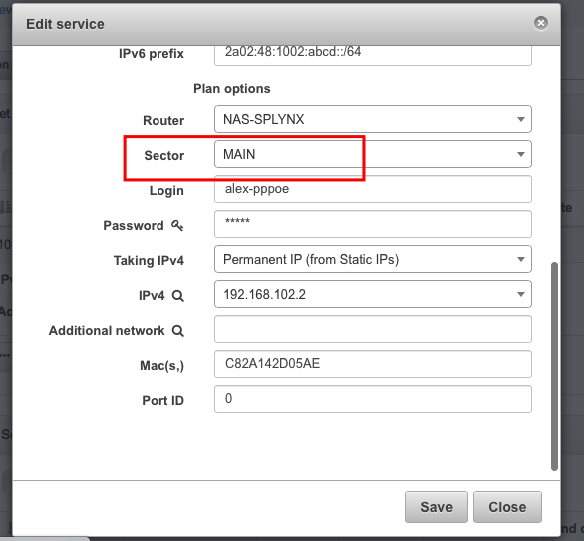 If you have Radius and API queueu enabled, Splynx will create two queues - one via API and another one is created by Radius server via attribute. This is not correct and one queue should be removed. 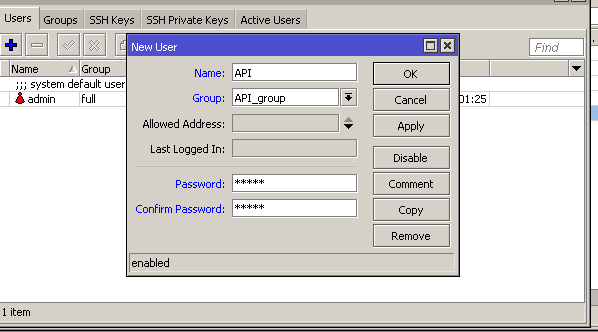 You can disable the API queue and leave automatic Radius queue. 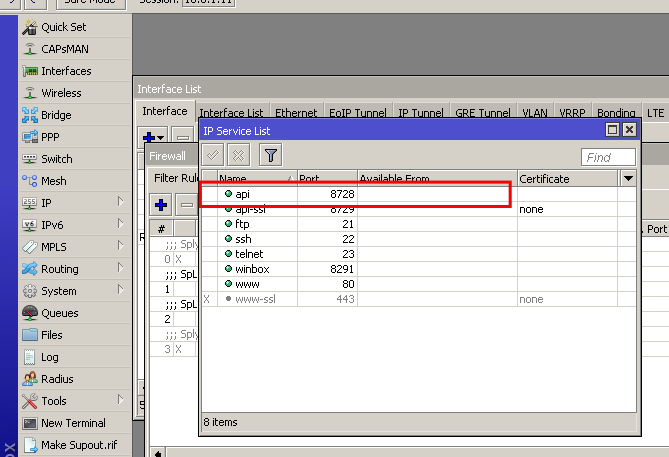 To get more information about bandwidth management options please read the tutorials - FUP bandwidth management and contentions in Splynx.